Dyson, The British Technology Company, this year recognised Amit Kumar and Rituparna Guha, Masters of Design students at IIT Delhi, as ingenious talents during the second edition of the James Dyson Award. The students were recognised for their innovative creation that solves a problem –SAMARTH, and felicitated with INR 170,000 as prize money. 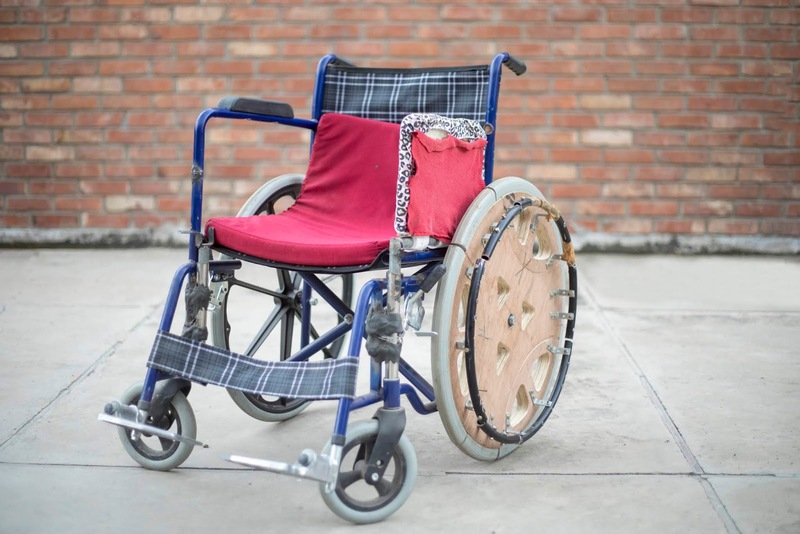 SAMARTH is an assistive mechanism which provides an easy, safe and convenient way of shifting wheel chair users from wheelchairs to other mediums, and eases the life of care givers as well as the users themselves. As per the 2011 Census in India, about 2.68 Cr people out of a population of 121 Cr are affected by disabilities, which is 2.21% of the total population. Of these, 20% are mobility impaired wheelchair users. Amit and Rituparna, 25 and 26 years old respectively, drew inspiration for this medical aid while interacting with several such mobility impaired patients at the Cheshire Home for Disability. During their visits they realised the lack of an effective solution which could efficiently shift patients to and from wheelchairs. Furthermore, the team identified that this was a problem haunting most patients suffering from paraplegia in India. Keeping this as the central focus, they started their journey to find a solution which could positively impact the lives of these patients, and also make them more self-sufficient. SAMARTH helps in shifting wheelchair users to any other medium e.g. a bed, a car and vice versa in an easy, safe and convenient way. It also drastically reduces the efforts of care givers in handling of patients, especially during transfer. The idea of creation was finalised through various visits to hospitals and care homes that gave Amit and Rituparna a deeper understanding of issues faced by wheelchair users like the fear of falling, portability and Repetitive Strain Injury for caregivers. Thus the team started brainstorming on ideas that revolved in merging desirability, feasibility and viability of the solution. Numerous prototypes were built, from Medium Density Fibreboard laser cut prototypes of the wheel, to a scaled-up acrylic laser cut 3D digital modelling version. 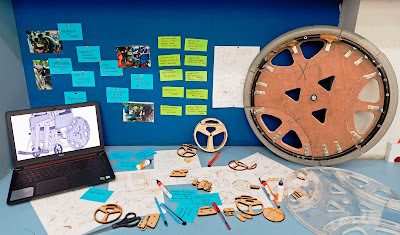 The process took about 4 months, with several versions of the wheel tested for strength and stability, eventually leading to a full-scale wooden prototype. There were more than 10 prototypes and 3 improvisations made over time and an investment of around Rs. 18,000- 20,000 in the process to get to the final prototype. While the idea to bring about a required change is in place, there is a long way to go. Next steps for Amit and Rituparna are to make the product ready for purchase in markets, and by investing the prize money. The healthcare and medicine industry is growing in India in order to aid everyone while being cost competitive. In such a scenario this innovation aims to develop a product which can compete in India’s growing healthcare industry. This year, the James Dyson Award set out for ingenious inventions from India and across 26 other countries. After receiving a tremendous amount of entries, the activity was closed by a rigorous judging process involving a reputed panel. Prof. Ravi Mokashi Punekar, Department of Design, IIT Guwahati, from the panel says, “Samarth is a product innovation following a Human Centred Design method that is immersive, iterative and conceptually enriched by engaging the end user in an empathetic and participatory manner. The jury felt that the proposal holds novelty and is pragmatic. It could easily bring a smile to the care-giver as also the end user.” The national winners from India will now proceed towards consideration for the International Top 20 shortlist. Accompanying SAMARTH are two runners-up: INALI - The Bionic hand and Cargo Ground Built-up System (CGBS). INALI THE BIONIC HAND is a low-cost electronic prosthetic hand, specially designed for people living with upper limb amputation and are from developing countries. In a country like India it was found that 85% of people with upper limb amputation are living without any solution because they can't afford it. 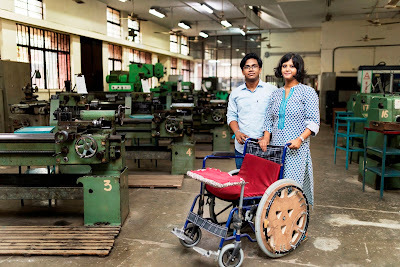 Thus INALI was ideated by a 25 year old engineering student, to be the cost effective solution developed for people living without any prosthetic care. CARGO GROUND BUILD UP SYSTEM (CBGS) is a novel air-transportable, Unmanned Ground Vehicle (UGV) designed for handling cargo loading and unloading operations for the Hercules C-130 at austere locations where they do not have any other infrastructure to rapidly offload cargo from the aircraft. The need for this capability became apparent during the Indian Air Force(IAF) disaster relief operations to Nepal during the 2015 earthquake when the IAF’s Hercules C-130 aircraft immediately responded with aid but were unable to rapidly offload their cargo due to lack of available infrastructure. The team identified this requirement and as part of the Lockheed Martin’s Roll-on/Roll-off Payload Design University Challenge have conceptualized and designed this vehicle. The competition is open to student inventors with the ability and ambition to solve the problems of tomorrow. Winning solutions are selected by Sir James Dyson and show ingenuity, iterative development and commercial viability. This year Mexico, the UAE, Sweden and the Philippines, have joined the global contest. With students from 27 nations now competing, the award is set to welcome new approaches to a broader range of global issues than ever before. Since the competition first opened fourteen years ago, the iconic inventor has already contributed over £1m to championing boundary-breaking concepts. To help finalists to develop their novel idea, each year the overall winner is awarded £30,000, and winners in each participating region receive £2,000. Unlike other competitions, participants are given full autonomy over their intellectual property. The James Dyson Award forms part of a wider commitment by Sir James Dyson, to demonstrate the power of engineers to change the world. The Dyson Institute of Engineering and Technology, the James Dyson Foundation and James Dyson Award embody a vision to empower aspiring engineers, encouraging them to apply their theoretical knowledge and discover new ways to improve lives through technology. The international prize is INR 26,00,000 for the student and INR 4,00,00 for the student’s university department. What is the competition timeline? Who can enter the James Dyson Award? Any university level student of product design, industrial design or engineering, or graduate within four years of graduation, who is studying or studied in Australia, Austria, Belgium, Canada, China, France, Germany, Hong Kong, India, Italy, Ireland, Japan, Malaysia, Mexico, the Netherlands, New Zealand, the Philippines, Russia, Singapore, Spain, South Korea, Switzerland, Sweden, Taiwan, the UAE, the UK and the USA.